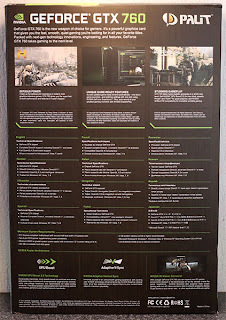 These specs are good enough to play almost every game out there at a resolution of 1920x1080 and more. 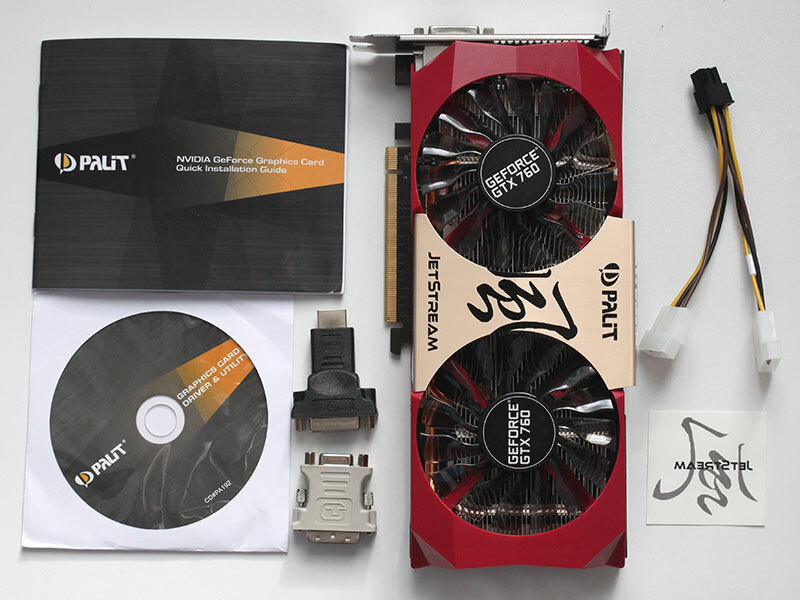 The Palit GTX 760 comes in a very huge and nice box. The box is almost equal to the size of any 20" Monitor you can find in the market. 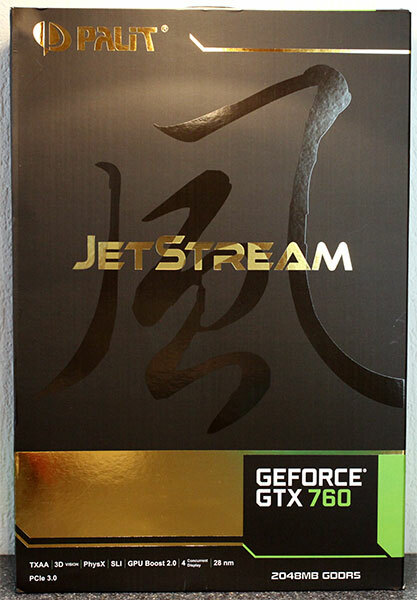 Sadly, I somehow lost the sticker while installing the card and it is nowhere to be found but it has no real use other than putting it up on your PC case or on the PC table (doesn't look good). It might look good on some cases but considering it's size and color, it won't look good on most. Also, the Driver CD is almost useless since it is not recommended to install those drivers, instead head over to Nvidia's site and get the latest drivers. One more thing that could've been included with the card is the DVI cable itself. Many monitors do not have the DVI and so you get a DVI to VGA adapter but most monitors now a days do have a DVI slot and hence the DVI cable is good to use if not HDMI. 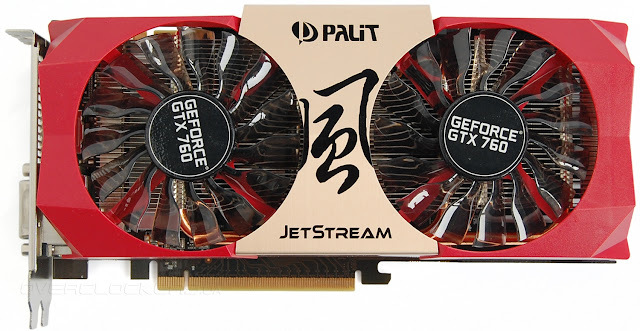 The Palit GTX 760 is 24cm long and 12cm High and takes up the space of 3 slots on the Case. It includes 2 DVI ports, one HDMI port and one DisplayPort. All ports can be used at the same time, hence a Nvidia surround setup is possible to do with just one Palit Gtx 760. 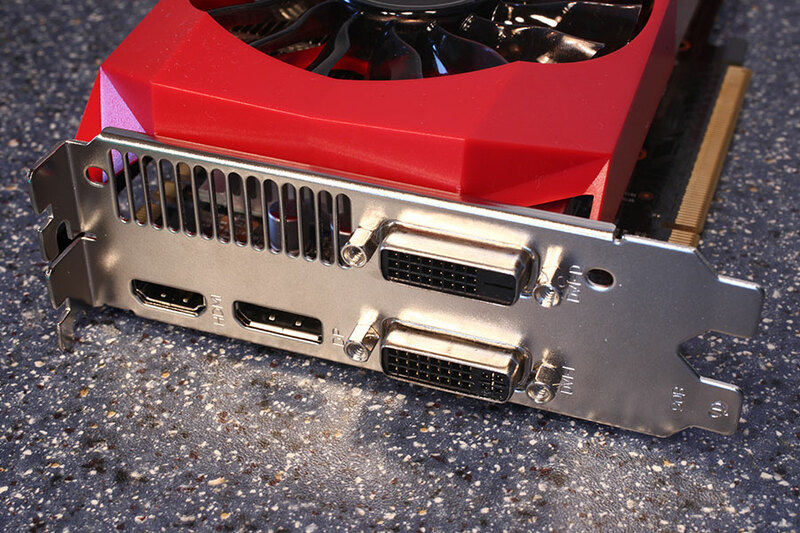 The GPU also includes an HDMI sound device. It is HDMI 1.4a compatible, which includes HD audio and Blu-ray 3D movies support. There are also 2 SLI connectors available, allowing you to combine upto 4 Gtx 760 in Quad-SLI mode. Each card requires two 6-pin PCI-Express power connectors. 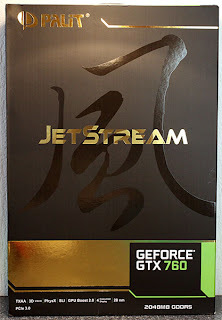 Benchmarks and Video reviews coming soon.